Casual wedding reception in park shelter, featuring muddled Old Fashioneds, and various cocktails, beer, and wine. Residential Martini Party, featuring a menu of four specialty martinis and other cocktails. Large rural country wedding, featuring both bartending and waitstaff services. 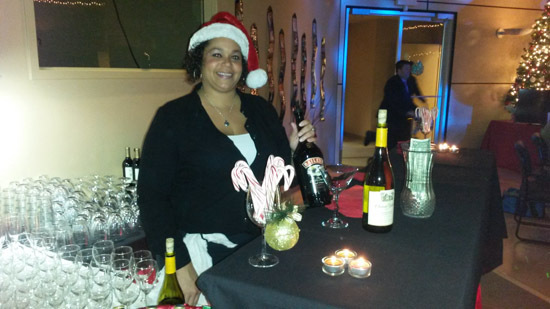 Arrielle serving wine at a residential holiday party. Bartender Sanetta at a company holiday party. Jason & Jenny at a Poynette barn wedding. Historic pavillion wedding serving beer and wine. Fun Halloween-inspired wedding reception with staff in full costume! Server Carolin on food duty for in-home holiday party. Large outdoor birthday party, featuring 4 bartenders and full bar setup. Full LL insured and licensed mobile bartenders in SC Wisconsin. Flawlessly executed service and hundreds of diverse event experience has set us apart as the most trusted, in-demand bartending company in the area. Let us exceed your expectations with unmatched customer service, skill, and flair! Consider our value-added options such as waitstaff, hors d'oeuvres butlers, and a-la-carte beverage catering to complete your event needs. Note: these items are only available as an upgrade to a primary bartending reservation, unless other arrangements are made. Our photos and reviews speak for themselves... Go with the best and choose Catered Cocktails LLC for your event. Cheers! Really great addition to our party! Jenny was great. Super professional and helpful. I would definitely recommend her if you are looking for a bartender for your gathering, large or small! I hired Catered Cocktails to serve alcohol at my open bar wedding two weeks ago, and they were fabulous! I got in contact with Jenny about 6 months before the wedding, and she always promptly answered any questions I had in the months leading up to the date. She also asked me thorough questions that, as a non-bartender, I would never have thought of! The result was that come the wedding day, I didn't even have to think or worry about guests' drinks, because I had confidence it was being taken care of in a highly professional manner. Jenny also made sure to tell me shortly before the date to remind my guests to bring their IDs, which put me at ease. I did not want underage drinkers being served, and I liked that I could rest easy knowing they wouldn't be. I honestly did not interact with Jenny and her assistant bartender much on the wedding day--people like to bring drinks to the bride!--but everyone seemed to be happy with the service. They were polite, professional, and kept the drinks coming. If you need a bartender in the area, I strongly recommend Catered Cocktails! Jenny was great! We contacted her last min, and she was very easy to work with and flexible with our needs. She was also very professional and personable at our event. I would and have already recommened this company to others. 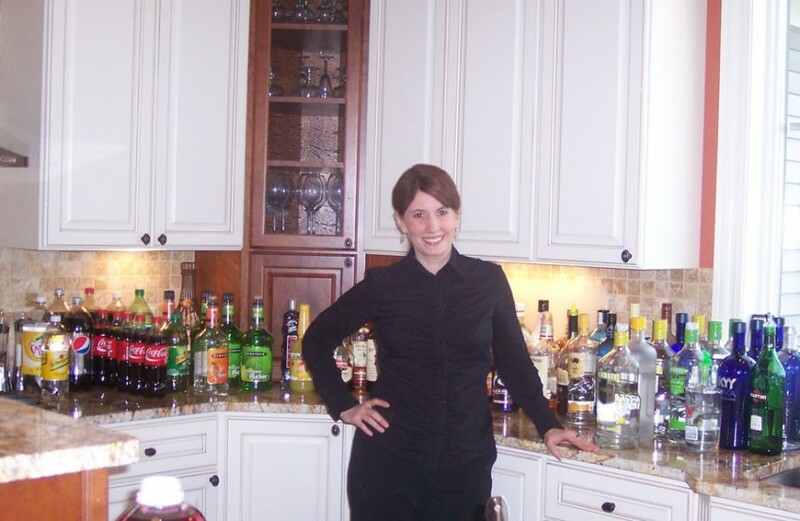 Jennifer came in and did bartending for my wedding reception on really short notice for a great price. She was great and helpful, and we were very happy with her services. Jenny was able to help us out for our wedding bar tending with only 2 weeks notice. She was friendly and professional throughout. 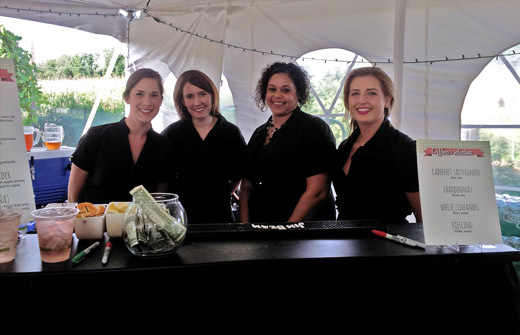 Because of the group size she arranged for an additional bartender who was just as plesant. Would have been one big disaster without them. Review by Ashlee . N. S.
Jenny was more than amazing at our wedding! She was flexible and ended up coming early and serving earlier for us! Everyone thought she was super nice and did an amazing job! She was easy to work w from the very beginning straight through to the end of the night! I would highly recommend her to anyone needing a batender! Jenny was awesome. 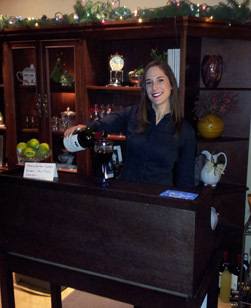 Not only were the drinks great, she was punctual, friendly and willing to help with anything we needed. I would recommend her to anyone wanting to make their party a great time. Jenny, you did a nice job bartending for the martini party. I would look for opportunities to engage yourself with the guests. Jenny was very helpful throughout the party. I don't know what I would have done without her! She kept all the guests happy. Very professional and personable! We hired Catered Cocktails for our company party and very glad we did! Jenny provided excellent customer service and did a great job getting everything set up and organized. She even helped us with recommendations for the drinks we should buy before the party and she is very easy to communicate with. We are very pleased with her service and our guests we well taken care of. Great service! We were very pleased with your job and would love to work with you again int he future! Jennie was persoable , helpfut, and very gracious with all of our guests. She was a very important addition to a wonderful experience that was had by everyone. Our uniformed staff will arrive 1-2 hours in advance to prep and organize the service area. We'll clear drinkware and leave the bar area as clean as we found it. We travel anywhere in South Central Wisconsin. Bartenders come prepared with a standard kit of professional serving utensils needed to do the job. For full-service hospitality needs, we also offer beverage catering, bar-specific product supplies, and food/cocktail servers to complement your bartender booking. For the DIYers who request beverage servers only, we can provide a shopping guide, menu, or recommendations to stock your bar. Sorry, we do no offer cash bars. We provide our customers an unrivaled mix of industry knowledge, customizable service packages, and professional qualifications, all with a friendly smile for a memorable guest experience. There's a reason we have more photos and reviews than anyone else-- it's because of our reputation and word-of-mouth referrals! The Catered Cocktails team is certified and licensed and our business carries a full liquor liability policy up to $1M, something most other vendors can't say. Choosing an insured alcohol provider is extremely important to ensure you are protected in an unfortunate incident. It also means that your guests are receiving the best quality service, with staff dedicated to safe alcohol distribution. We can provide proof of insurance and license for your peace of mind. Catered Cocktails LLC was founded in 2012, and since then we've been hired literally hundreds of times! We contract with industry vendors and have worked closely with organizers to consult, coordinate, cater, and serve at a multitude of special life events. Our team of bartenders and waitstaff is carefully selected for personality, skill, and a professional image to ensure the best experience for our clients. You get what you pay for, so don't trust your important event to just anyone. Contact us today! Client is responsible for all large equipment provisions, including banquet tables, portable bars, large-capacity coolers, glassware, and/or keg coolers, etc. Ask us and we will advise on rentals of these items, if needed. 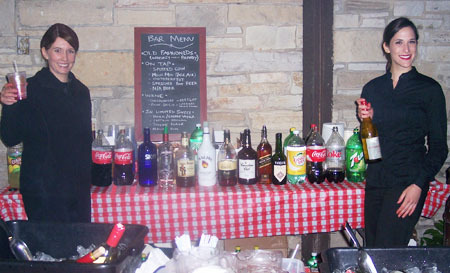 If an adequate bar or service area is not available, portable bars and/or banquet tables will be needed. We can consult with you on details.